Have you ever gotten into a snacking rut? Throwing the same granola bars (or Quest bars) into your lunch bag (or purse or backpack) week after week? Digging the same badly bruised fruit out of the bottom of your gym bag? Spooning the same pre-packaged single serving yogurt flavours into your mouth while you peruse Pinterest (look for me!) but pretend to work? SNACK BOREDOM STOPS HERE! I’m bringing you all the rich, creamy deliciousness of BOTH Banana Cream Pie AND Coconut Cream Pie in one innocent-looking bowl of high-protein, gluten-free, grain-free, refined-sugar free GOODNESS! Oh man, banana cream pie. We KNEW it was a special occasion if my mom (Nanny Golden Graham) was making banana cream pie. I don’t think she’s made one in years, or possibly even decades (not that we haven’t had special occasions for the past twenty-odd years, but you know, metabolisms in our family are not what they were twenty years ago!) but it was so darn good that I can STILL remember it vividly (and fondly) now. And of course it was good! 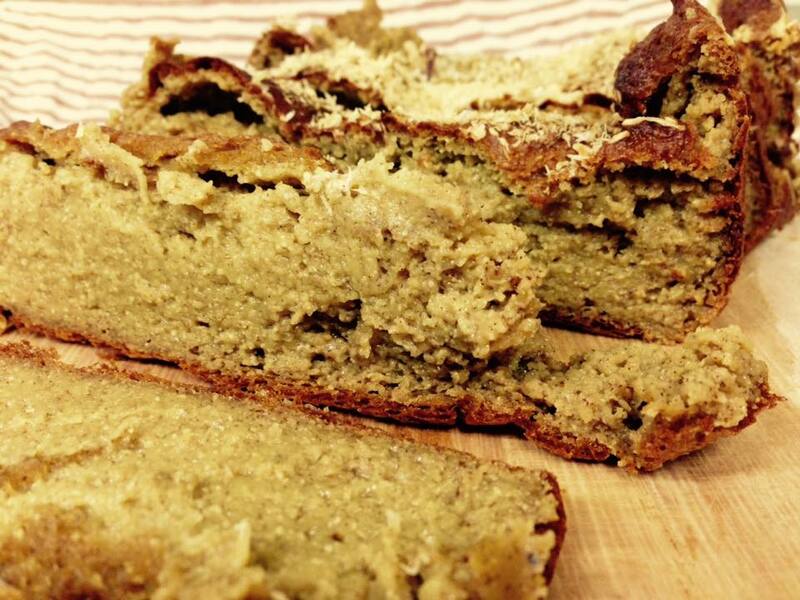 The average slice had 20g of fat and 17g of sugar and a paltry 6g of protein. 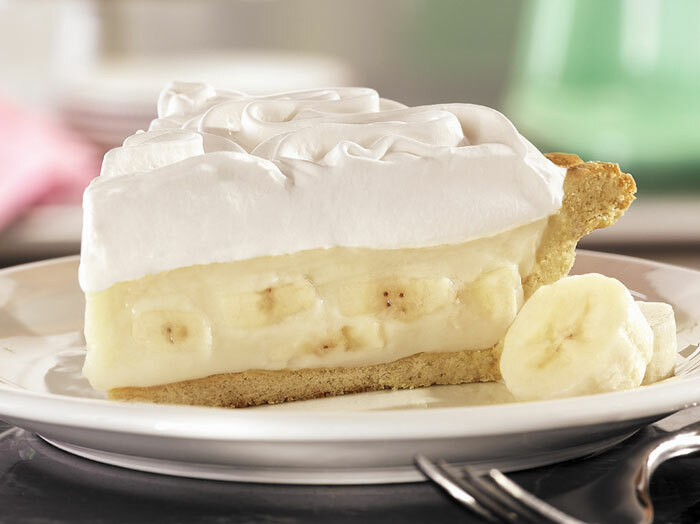 And hey, there are times when you need that full-throttle slice of banana cream pie, just like mom used to make (or maybe she still makes – lucky you!). But probably not every day. But I promise that you can eat this recipe EVERY SINGLE DAY (although it’s always good to switch things up). 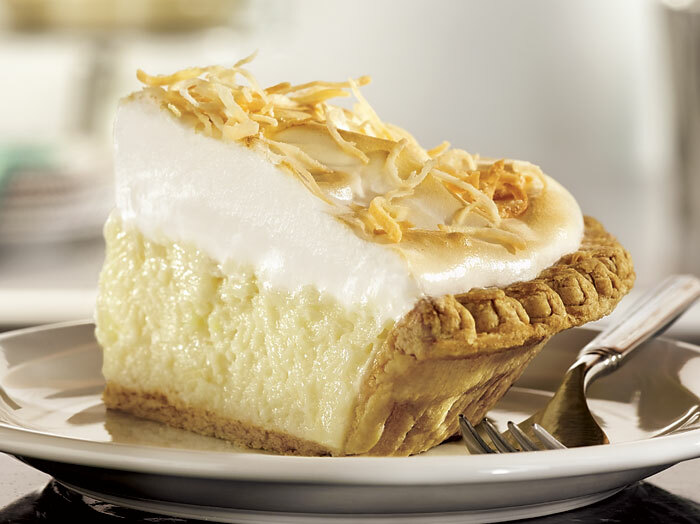 And now let’s talk Coconut Cream Pie. Nanny Golden Graham never made this (at least not to my recollection) but then there was Mrs. J, mother of my high-school boyfriend. That lady could BAKE (and I’ll bet she still does). It was so convenient that my boyfriend’s house was closer to our high school than mine, so naturally we would stop THERE for after-school snacks. Cookies, cakes, pies, squares – you name it, Mrs. J could bake it. And it was even MORE of an indulgence than Banana Cream Pie (probably why my mom never made it – as a fitness instructor through the heyday of the 1980’s-1990’s aerobics craze, she definitely would lean toward “healthier” options for our family so a dessert that at least had a fruit in the title would beat out one that didn’t). With 24g of fat and 52 FREAKIN’ GRAMS OF SUGAR per slice of Coconut Cream Pie, I have no idea why I wasn’t the size of a house by the time that relationship ended (amicably, in case you were wondering). I can only credit my high-volume competitive swim training regimen at the time for keeping me in check. Well, worry no more. 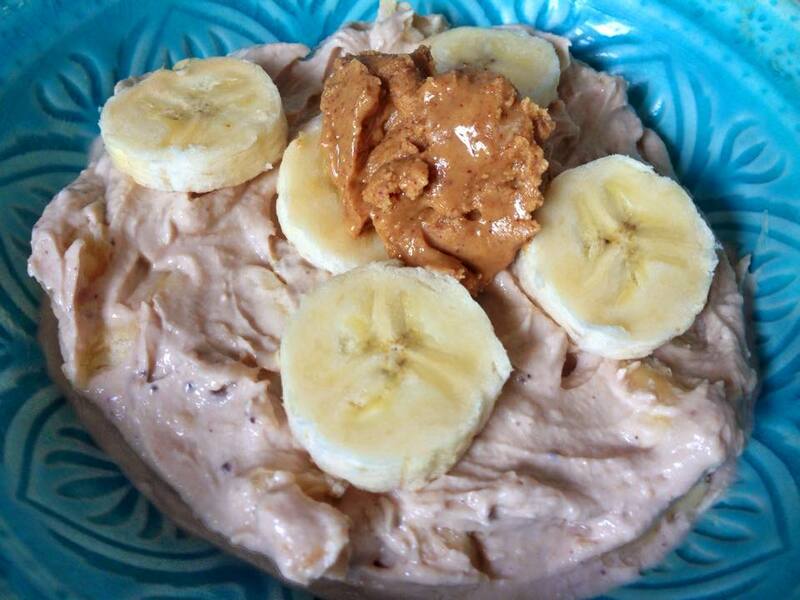 Even my “old-lady” metabolism can handle the 3g of fat, 20g of naturally-occuring sugars (from the lactose in the yogurt and the fructose in the banana) and 31g of protein in this recipe. Every bite brings you creamy, protein-packed goodness of Greek yogurt, the flavour and health benefits of coconut, and a boost of naturally sweet, high-fiber, potassium-filled banana. It’s the perfect pre-workout snack or post-workout snack or mid-morning snack or mid-afternoon snack or dessert or…well, you get the idea. It’s perfect. 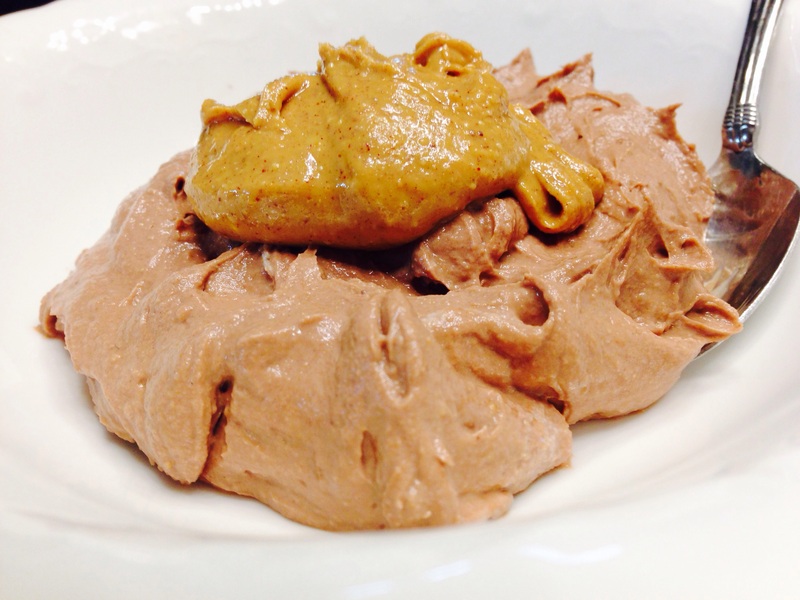 All the creamy deliciousness of two decadent desserts in one, but without the guilt! 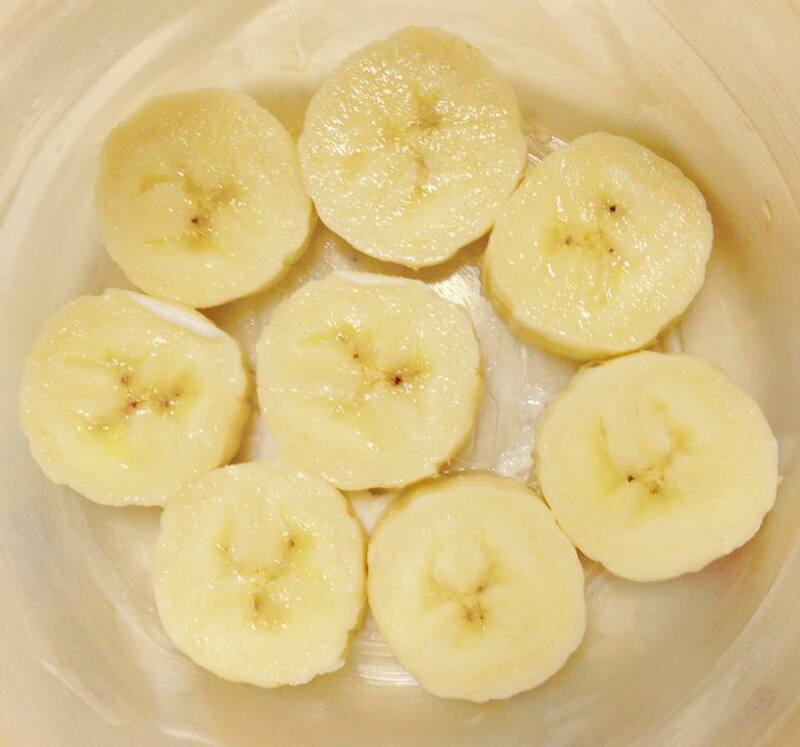 Your tastebuds will say “Banana Cream Pie!” “Coconut Cream Pie!” but your body will thank you for this high-protein, low-fat snack that is free of gluten, grains and refined sugar! 1. 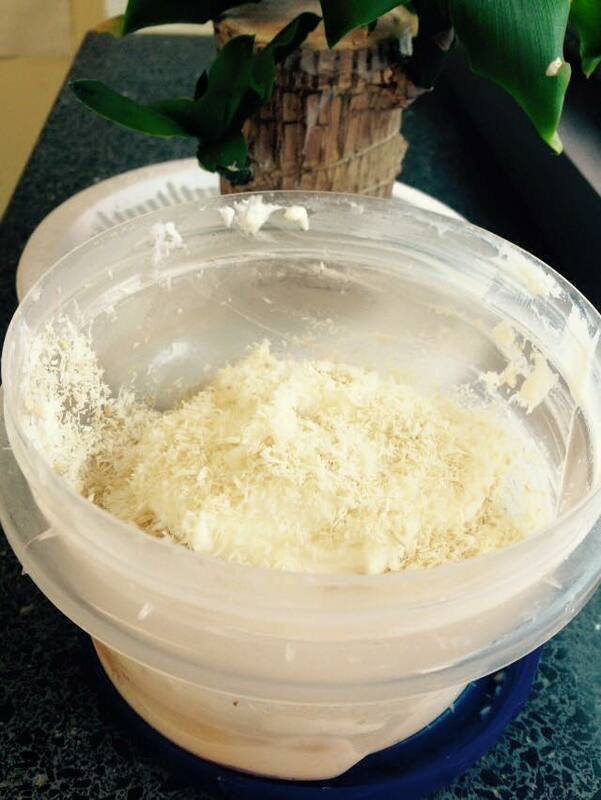 Put the yogurt in a medium bowl or travel container and stir in the coconut or almond extract. 2. Add the protein powder and 1 tbsp of coconut flakes and mix thoroughly – texture will be thick and creamy and should already look and smell like coconut cream pie. 3. 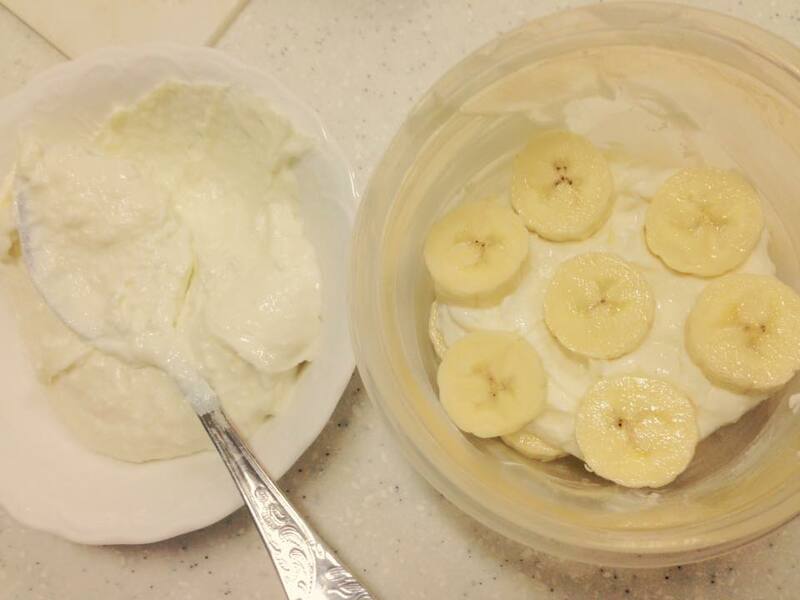 Either stir in the sliced bananas or go for a layered “parfait” effect by alternating layers of sliced bananas and spoonfuls of the coconut-yogurt mixture in a pairfait glass or small travel container. 4. 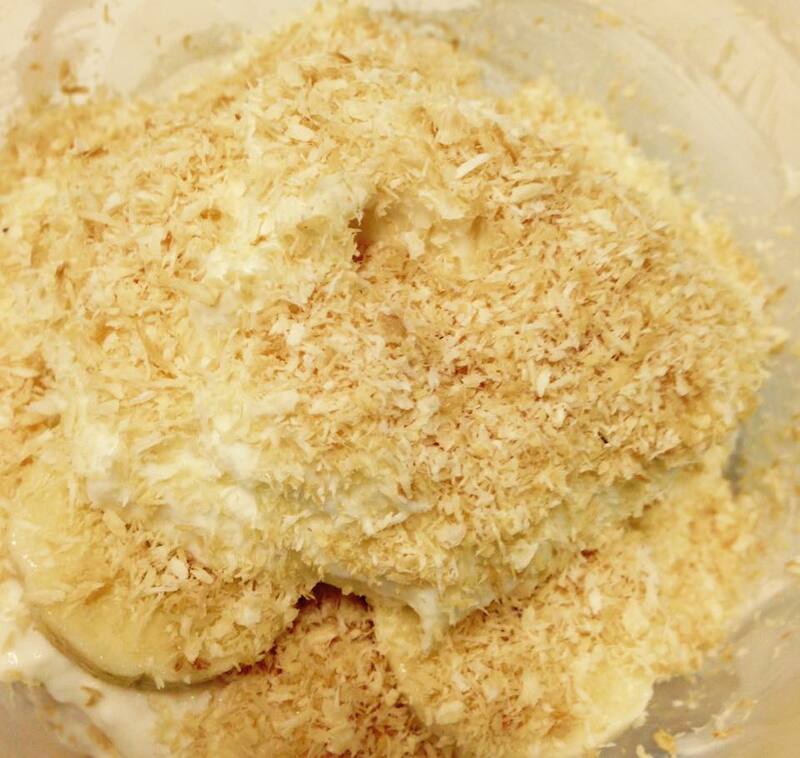 Garnish with remaining banana slices and 1 tbsp of coconut flakes. Sprinkle with sea salt (this is optional but really enhances the flavours, in my opinion! Of course, I love sea salt on EVERYTHING). 5. Serve immediately or refrigerate for later. 6. BLISS OUT IN DESSERT ECSTASY. 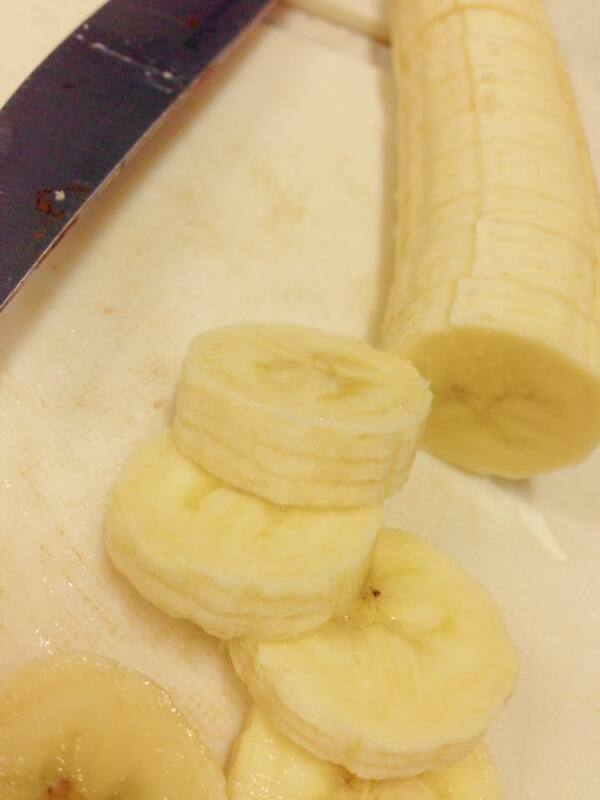 Fresh sliced bananas ready to go. As an option, you can alternate layers of sliced bananas and coconut-yogurt filling. I think I got three layers in total. Top it off with toasted coconut and sea salt! Thanks so much, Paige! I’m sure you’ll make some wonderful desserts with these new products! Shut uppp I have to try this. First I have to go shopping though because I had no idea Quest makes protein powder. I bet it’s delicious!